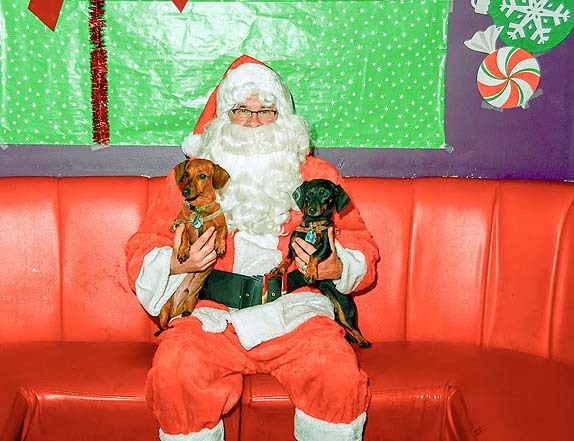 Was The Santa Photo Gauntlet Worth It? 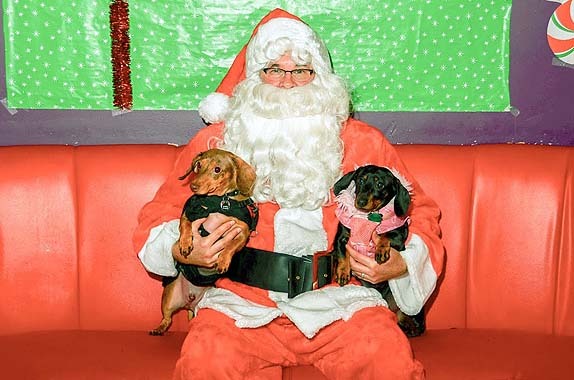 You are here: Home / Life With Dogs / Was The Santa Photo Gauntlet Worth It? We ran the gauntlet to get Santa photos this year and this was the result. Are the pictures great? Nope. Did we have a crazy time and make good memories? Yes. Merry Christmas, Happy Holidays and Happy New Year to everyone. You may not hear from us here until after the New Year. Then again, we might publish a random post if the mood strikes. You can, however, follow our holiday shenanigans on Facebook. Hey it looks like you were all having a great time…which is what it’s all about. Happy Holidays! I think the pictures are cute. You guys have a great Christmas and New Year too. Great pictures! Merry Christmas to all of you! I think the photos are just perfect, the fact that they are not, MAKES THEM PERFECT. Those photos are not bad, mine was awful, Santa was in imposter, it was a disaster starting with his beard falling off, terrible! Merry Christmas to the entire family! Happy Holidays to you! I think the pictures are adorable! I am glad you at least had a good time together and will have them to look back on and smile. 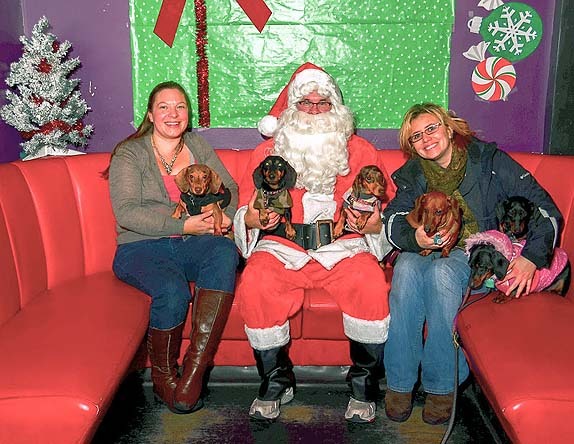 (singing) I saw Chester kissing Santa Claus, posted on Adventure Weiner’s site…….Teeheehee! They might not be amazing pictures, per se, but they are totally adorable, and give you some awesome memories, which is what really counts. Have a great Christmas! Stopping by to wish you all a very Merry Christmas! They are very cute! Merry Christmas to you! My favourite part is Santa’s sneakers! 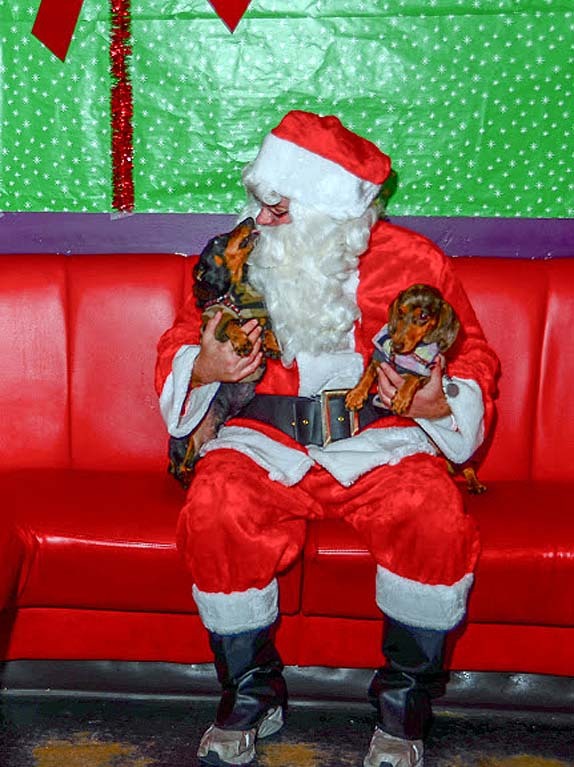 Hope you and the pups had a Merry Christmas! What brilliant photos! So so worth it!